Pioneers in the industry, we offer three phase variac from India. We have been involved in the manufacture and supply of premium quality power control equipment such as Three Phase Variac. These Variac are manufactured using components of the best quality as per the assessment of our research and development team. These Variac are available to clients in different specifications within the specified period of time. 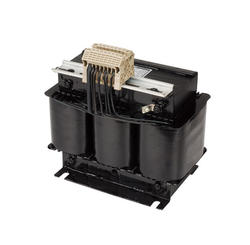 These are widely used in residential and commercial areas along with various power control equipment. These are easy to use and shock-proof.